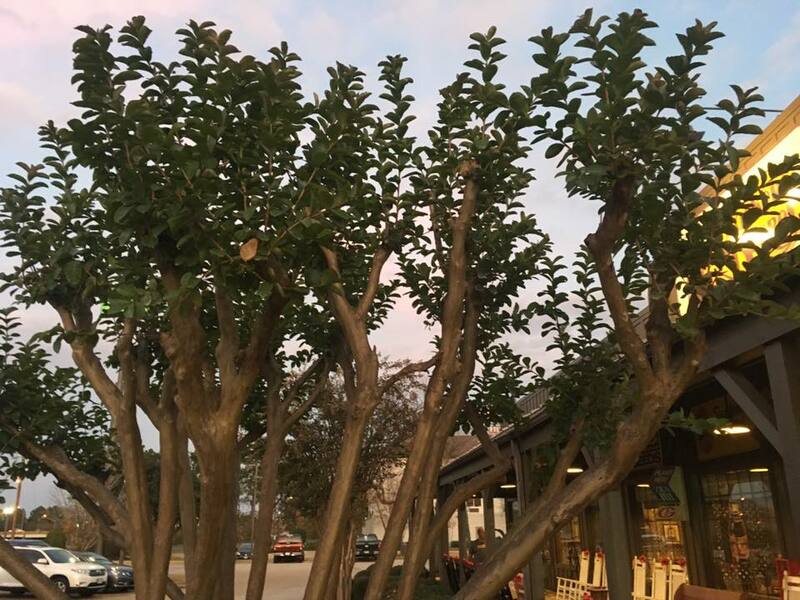 In Louisiana and across the southeast, there continues to be record-breaking amounts of “improper crape myrtle pruning” occurring. Most knowledgeable horticulture industry members and home gardeners refer to the unnecessary "topping" of the trees to reduce height as “crape murder”. For years now, horticulturists in the Baton Rouge area and throughout the state have been working diligently to end this heinous crime to no avail. Each year, it seems more and more individuals will prune their crape myrtles incorrectly. At this point, the scale of correct and incorrect pruning is beginning to tip. There are more people pruning crape myrtles incorrectly than are being pruned correctly. Although this practice does not kill the tree, it can result in trees declining in health after years of improper pruning and wood decay can occur. If a crape myrtle becomes too large for a certain location, either it was planted in the wrong spot in the landscape or the wrong variety was selected. In addition to flower color, select crape myrtles for size at maturity. It is everyone's right to prune their plants how they desire but it is best to follow recommended horticultural practices to improve long term plant health. Encourage your fellow residents to prune crape myrtles properly. When allowed to grow and mature, they are beautiful, majestic trees. If you must prune crape myrtles, do it right. Always prune a limb or branch from the point at which it originates. This means, you must follow the limb or branch back to the branch or trunk from which the limb is growing. Make a flush cut and do not leave a nub. If a nub is left behind, then there is a possibility of many more branches sprouting from this nub. Written by Lee Rouse and Allen Owings Ph.D.